Every garden is different, reflecting the tastes of the gardener who plants it. 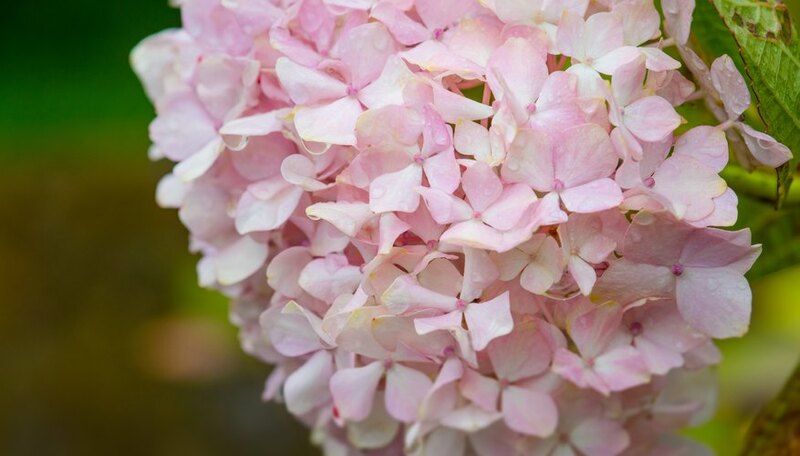 But whether you favor a casual cottage-garden style, a formal garden or something sleek and modern, there is one plant you need to keep on the list: hydrangea. A foundation plant in gardens for centuries, the hydrangea is a versatile, easy-care shrub that offers reliable and gorgeous blossoms. You'll find the perfect hydrangea for your garden in the wide range of species and cultivars available. Do you need a plant with lush leaves? Or do you favor copious blooms? A plant that is tolerant of any soil? Something native? Easy care? Hydrangeas fit the bill. Hydrangeas offer unrivaled quantities of beautiful blossoms all season long. Their foliage is green and lovely. Hydrangea plants tolerate almost any soil. Hydrangeas are easy to cultivate and propagate. These plants boast several native species. Hydrangea flowers come in an immense range of colors, from pale blue and pink to deep, rich shades. Six species of hydrangeas are widely cultivated in this country. But you'll find hundreds of cultivars available in commerce, something for every garden. Many know hydrangeas as the shrubs with huge pom-pom flowers, and they are not wrong. These are bigleaf hydrangea (Hydrangea macrophylla), known as mopheads. The immensely popular bigleaf species comes in two, very different styles: the vibrant mopheads and the romantic lacecaps. Lacecaps have flattened heads of short flowers surrounded by a showy "cap" of larger flowers. Bigleaf hydrangeas grow in Department of Agriculture plant hardiness zones 5 through 11. They can grow to 10 feet high and bloom June to October. Among America's favorite hydrangea species are two that are native to this country. One is oakleaf hydrangea (H__ydrangea quercifolia). It's known for its beautiful oakleaf-shaped foliage that turns fiery colors in autumn and white flowers that mature to purple. The shrub grows to 8 feet tall and wide, and flowers in July through September. The other native is the smooth hydrangea (Hydrangea arborescens), that grows to 5 feet tall and wide. Its creamy-white, rounded flowers age to a silvery-tan. The best known cultivars are ‘Grandiflora’ (also called "Hills-of-Snow" hydrangea) and 'Annabelle' with enormous, white blossoms. These grow in zones 3 through 9 and bloom in June through September. Panicle or tree hydrangea (Hydrangea paniculata) is no shrinking violet. This is a tall shrub that can grow to 12 feet tall and 10 feet wide in zones 3 through 8. The top cultivar is known as 'Pee Gee' and offers massive, elongated flower clusters in mid-summer through September. ‘Limelight’ is another popular cultivar, with flowers that open a greenish white, turn white, then mature to pink before winter. If you prefer a vine to a shrub, take a look at climbing hydrangea (Hydrangea anomala ssp. petiolaris). This plant thrives in zones 4 through 8, producing frosty clouds of delicate, white blooms in May through July. A climbing hydrangea plant can mount a wall or trellis to 80 feet, or it can serve as ground cover, covering 200 square feet. This plant matures after a decade and requires little maintenance. If these hydrangea shrubs are too big for your small garden, consider the mountain hydrangea (Hydrangea serrata). This small shrub, only 3 or 4 feet tall, is native to the mountains of Korea and Japan. Mountain hydrangea plants produce flowers that look like bigleaf lace caps, flat clusters of small, pale pink blossoms rimmed with showier petals. The hydrangea's slim green leaves turn burgundy in autumn. Grow mountain hydrangea in zones 6 through 9.